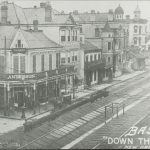 Beginning in 1881, this corner building was home to the New Lusitanos Benevolent Association, a benevolent society for white immigrants. 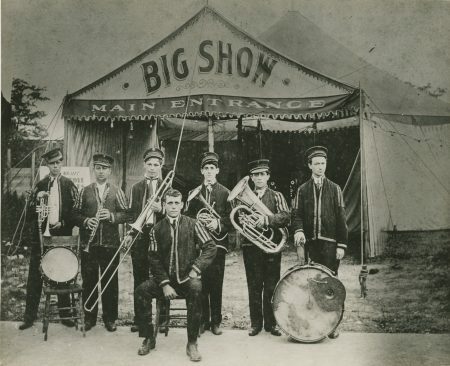 The society sponsored large anniversary parades, and hired dance bands and brass bands for events including members’ funerals. 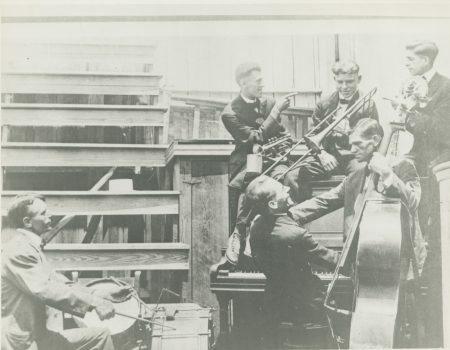 For dances, bands would play on the gallery to attract crowds and then perform inside in the second floor hall. 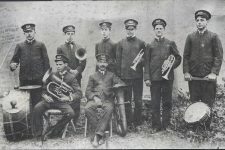 While the society did not admit black people, it hired both white and black musicians, such as “Papa Jack” Laine, Tony Parenti, Johnny Lala, and Emile Barnes with Buddy Petit’s band. 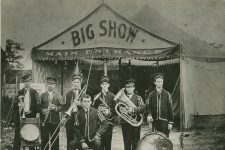 Barnes claimed that Louis Armstrong even played here. 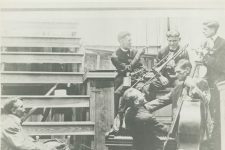 Lusitania Dance Hall, as some called it, hosted musical performances until the 1930s. The building, constructed in the mid-1800s, was renovated for commercial and residential purposes during the mid-20th century, and the windows and gallery were altered. Today it houses a hardware store fronting Elysian Fields Avenue. 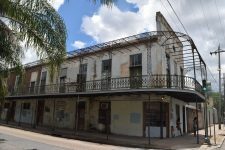 Site of Lusitania Dance Hall in 2017, now United Hardware. 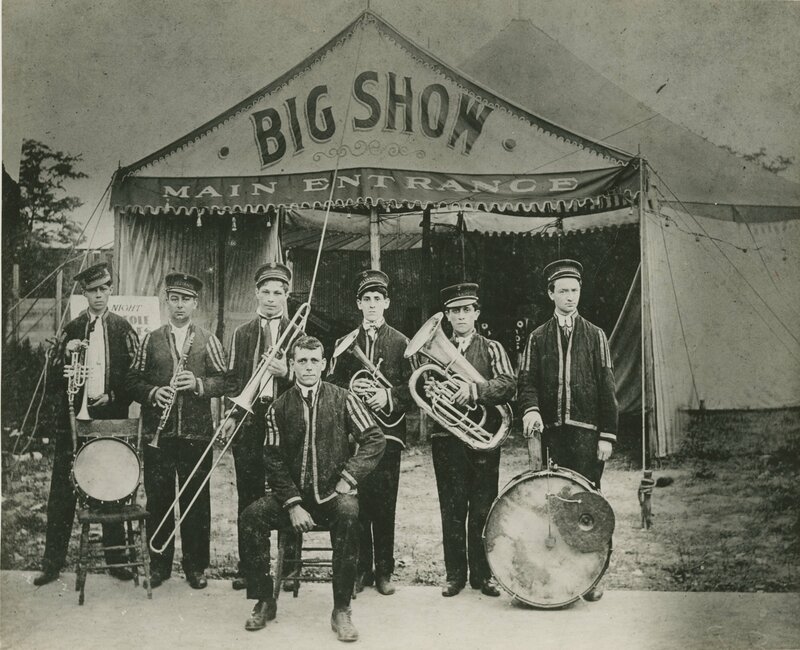 An early portrait of Papa Jack Laine’s Reliance Band. Papa Jack Laine and his band cut up on a trip to Alexandria, Louisiana. 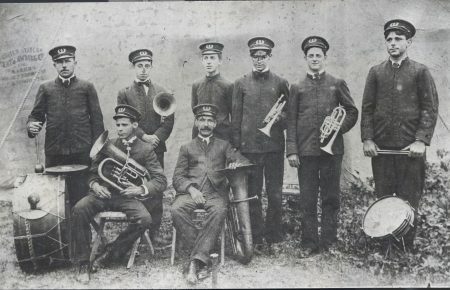 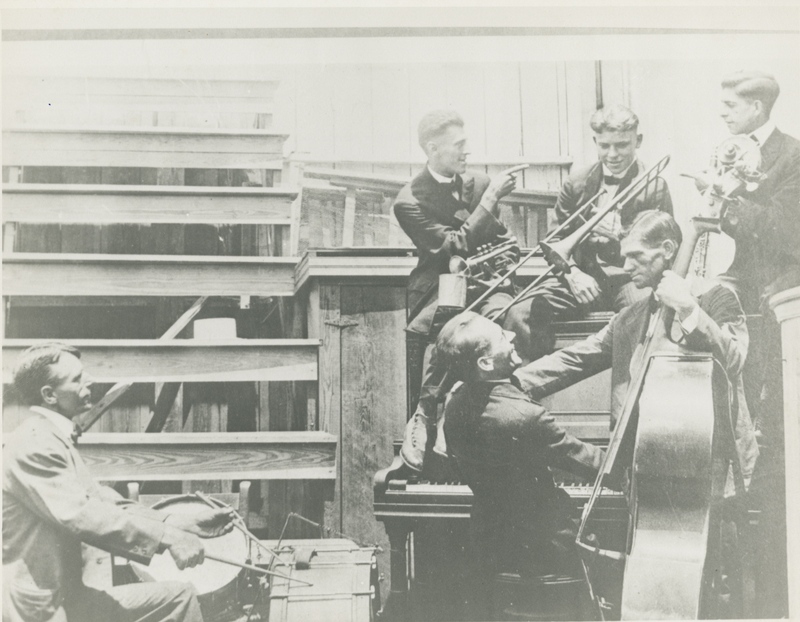 Reliance Band in 1910: Manuel Mello, Alcide Nunez, Leonce Mello, Alfred Laine, Chink Martin, and Mike Stevens with Jack Laine seated.